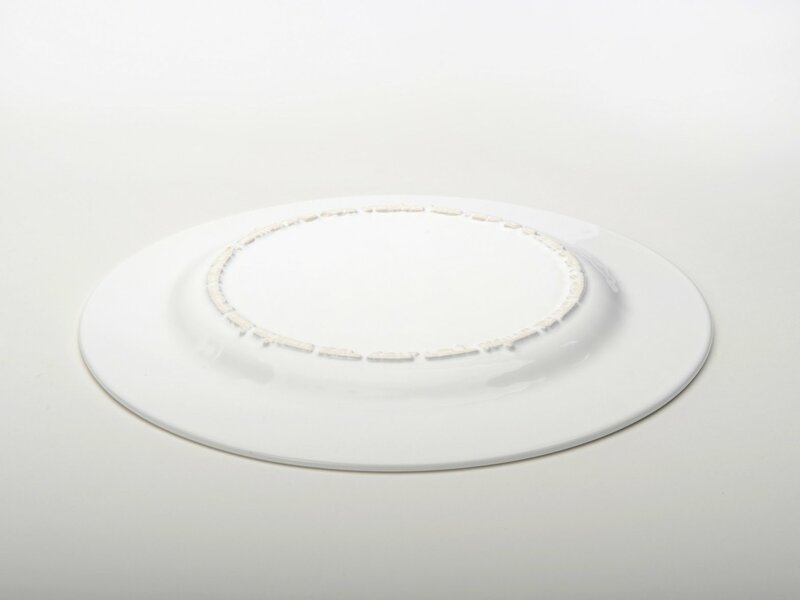 The Sabbath Plate uses the leg territory of a plate, a technical element that is on the bottom of most plates and is used as part of the manufacturing process and allows for the plate’s stability. 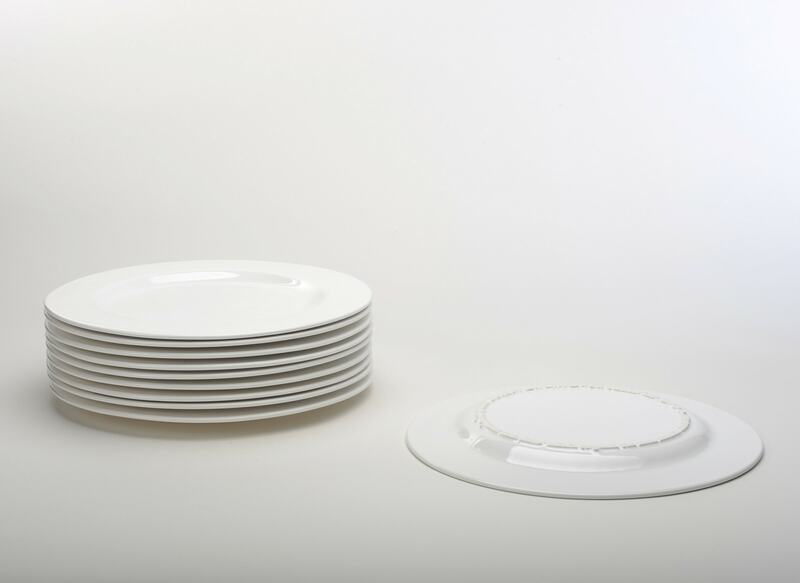 Instead of a circular stripe the leg of the Sabbath plate is made up of the Hebrew text from the Genesis book: “And on the seventh day God ended his work which he had made; and he rested on the seventh day from all his work which he had made. And God blessed the seventh day, and sanctified it: because that in it he had rested from all his work which God created and made”. 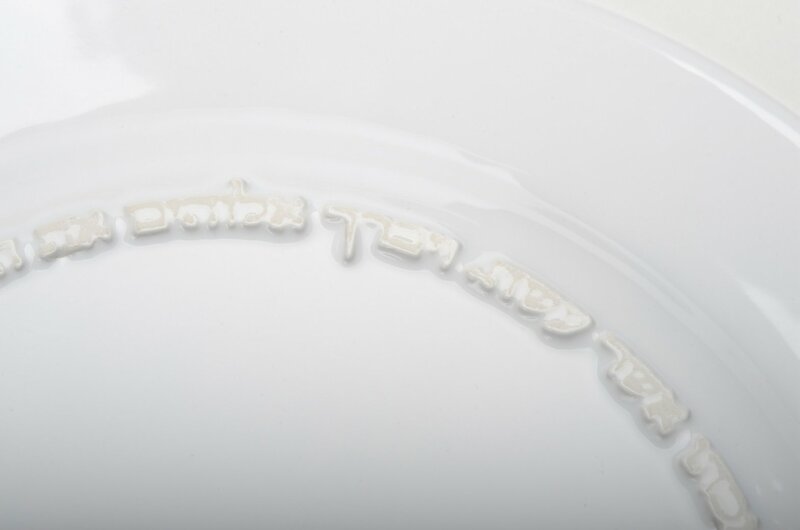 The text becomes the physical and symbolic foundation of plate and the Sabbath meal.